Egyptian Numerology is a guide to living by your soul chakra and helping readers use their highest frequencies. Why was this an important book for you to write? I know that when we are living our true authentic life, we share a sense of purpose and meaning that inspires the world to do the same. I believe we all agreed to a soul contract that is coded in our DNA, Birth Name and Date. We will continue to struggle in life until we find and follow through with what we came here to do. When we raise our frequencies, we are able to connect to Spirit through our intuition, psychic and healing abilities. Ultimately, these three areas are the strongest abilities that all number frequencies take us to but each number has a unique flavor of bringing this forth into the world. My job is to show you how. What do you think is one common misconception people have about numerology? That it is used as a means toward fortune telling. In actuality, we have choices and it depends on how we use our frequencies. For the positive or the negative. Numerology is undeniable and reliable in potential but only the individual can decide how they are going to manifest their gifts in this world. Egyptian Numerology won’t tell you what isn’t already coded in your DNA. You are a certified instructor in Egyptian Numerology and have been charting Egyptian Numerology since 2016. How has your experience helped you write this book? I know through my charting that these frequencies are true and valid. If a person does not resonate with their frequencies, it is because they are choosing not to for fear of the unknown. 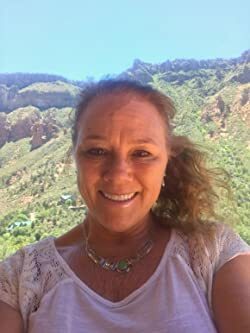 It is my goal to help people see how these frequencies are active in their life and how they can be nurtured and used to become their most powerful allies through demonstration channeled in abilities, qualities and potential. Do you have other books planned on this subject? If so, when will they be available? I do. I have my second book coming out in the beginning of next year. It is called the “Path of the Wounded Healer; Liberation is for the asking”. It is a sequel to the first book and covers more advanced features in Egyptian Numerology and a more in-depth study of cycles, patterns and of course Master Numbers and our wounded healer numbers. Egyptian Numerology works with a persons highest qualities and potential. Most people are satisfied with the traditional numerology which uses the frequencies of numbers to dissect the good and bad aspects of their character. I refer to this as the mind reading technique because for some reason people like to be told what they already know about themselves and what can be revealed by just looking into the mirror and being completely honest with oneself. 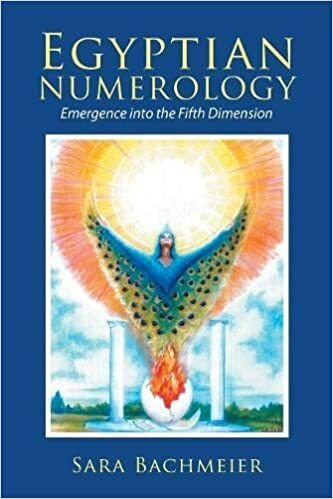 The paradigm for numbers has shifted over the past few decades and it is vital that we acknowledge this change and accept the knowledge available to us during these radical times of change. Egyptian Numerology takes your reflection and enhances the view by using your number frequencies and taking it into the fifth dimension to show you what is possible to achieve in this lifetime. The fifth dimension has been described as the plane of love and of living totally from the heart. It will give you the opportunity to discover areas of your life that have the greatest potential and what they are meant to look like in an elevated frequency rating. It is compatible to giving you a new prescription for lenses in order to see yourself clearly. If you are already using your highest frequencies, than this type of charting can be used as a geographical confirmation that you are on the right track or it can be used as a reference point to what is possible to achieve in a perspective not always revealing. It will give you a description of what your life looks like when you are living through your heart chakra.